Following the announce of his sophomore album Drastic Measures and the release of the first single “Uncertainly Deranged,” Bayonne returns with a new beautiful track and music video for the title track off the upcoming album. Bayonne Announces Sophomore Album 'Drastic Measures' and Releases New Single "Uncertainly Deranged"
We are excited to announce the Bayonne is back with the announce of his sophomore album ‘Drastic Measures,’ which comes out February 22nd, 2019, and a new track + lyric video for the first single off the album, “Uncertainly Deranged.” This new record is essentially a reflection of Bayonne’s life on and off the road over the last few years. “Drastic measures” refers to the huge risks and sacrifices involved with pursuing art, particularly music and touring, as a career. Following up the release of his hit single "I Know," Bayonne surprised his fans with a couple new versions just in time for summer! Check the two new tracks below and stream/download the track HERE. Also be sure to catch Bayonne next weekend in Manchester, Tennessee on The Farm at Bonnaroo spinning the new tracks. Bayonne Releases New Track "I Know"
Bayonne is back with yet another looping-masterpiece, "I Know." The track premiered yesterday on DIY magazine, who praised the song as "a track built on hypnotic loops that pull you in with their airy charms, snapping, propulsive beats and twinkling melodies that weave in and out." Bayonne Releases New Single "Fallss"
Bayonne's ethereal new track "Fallss" premiered today via The Line of Best Fit. The website described the Austin-based artist's song as "a strident sliver of euphoric pop beauty." Our very own Bayonne is going on tour with Seattle indie-rock band Minus the Bear! The Voids Tour starts in early March, and will take them across North American through mid-April. Philly punk rockers Beach Slang are also on the bill, don't miss this one! Bayonne just put out a pulsating new track entitled "Living Room" with a video to match the dream-like song. Bayonne premieres cinematic video for "Waves"
In the music video for Bayonne's track "Waves," a young boy breaks away from the boredom of a long family road trip and embarks upon his own adventure. Exploring the liberating potential of nature and imagination, the video is a perfect counterpart to Bayonne's peaceful track "Waves." Watch the video below and be sure to catch Bayonne on tour when he comes to a city near you! You can listen to his debut album, Primitives, now! Bayonne released his long-anticipated debut LP Primitives today. The album features early singles, "Appeals," "Spectrolite," and "Waves" along with a slew of new tracks. 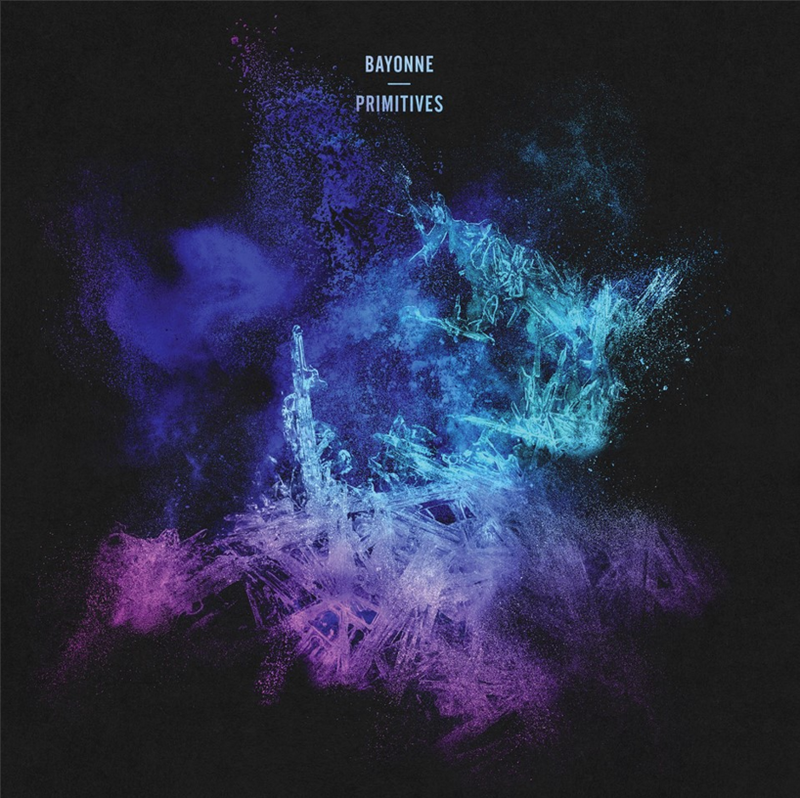 Following an incredible week at SXSW, where his sets captured the attention of Rolling Stone, Entertainment Weeklyand more, Bayonne has previewed his upcoming album Primitives today with KCRW. Bayonne releases new track "Waves"
Bayonne released the third track titled, "Waves," off his upcoming album Primitives, out March 25. The song sounds as its title suggests: dynamic, hypnotic, and yes, wavy. The track is a brilliant followup to Bayonne's first two singles, "Spectrolite" and "Appeals," the ladder of which received notes from NPR for its unique projection-mapped music video. NPR premiered the hypnotic new video for Bayonne's track "Appeals," off his upcoming debut album, Primitives, out March 25th. The video captures an intimate performance set in a beautiful projection-mapped environment. Bayonne Named One Of Rolling Stone's "10 Artists You Need To Know"
Rolling Stone recently name Bayonne one of February's "10 Artists You Need To Know." The feature noted how Bayonne's use of a "hillcock of mixers, pedals, keyboards and sequencers to build his pop songs" helped him gain attention in Austin and begin piecing together his debut album, Primitives. Courtney Barnett and Bayonne will travel to Austin this year for the 9th installation of Levitation. The festival takes place from April 29 - May 1 at Carson Creek Ranch in Austin, TX. Self-described "minimalist composer" Bayonne's new song "Appeals" just premiered on Pigeons and Planes. It features looped pianos chords and chimes - and a generally whimsical, enchanting sentiment. Stereogum recently premiered Bayonne's official music video for "Spectrolite."